← Orange Freshened Sweet Potatoes- a hope of health for millions in Tanzania unravelled!! 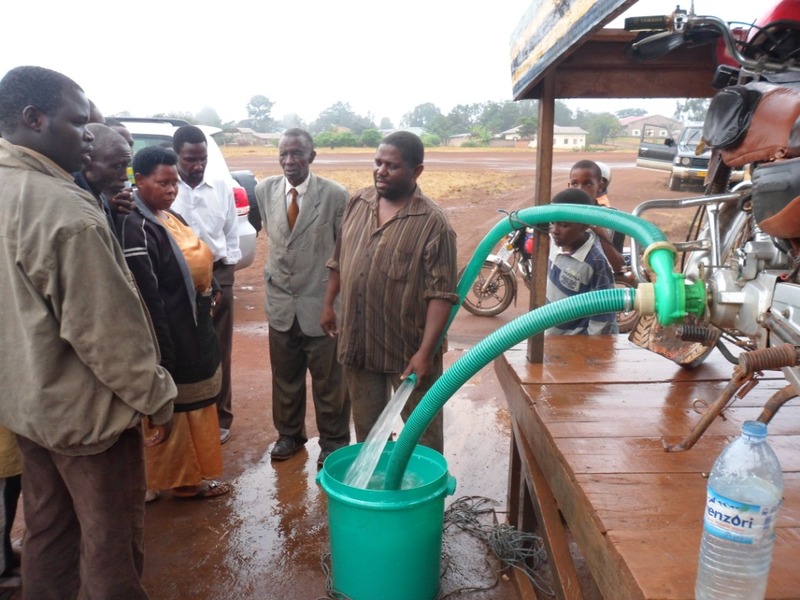 Here is a new invention by a Kenyan innovator, to help farmers pump water from shallow wells to beyond 1km for irrigation using a bodaboda (pikipiki). At a time when armers are grappling with efects o climate change like changes in seasons, farmers need technologies that can help them to enhance their agricultural production.According to Mr. Mwangi, the ‘think-tank’ behind the idea, bodaboda cyclists can now take advantage to diversify their businesses instead of only using the machinery for transporting people and goods. The pump costs less than 200 USD and you just need a pikipiki to operate it. 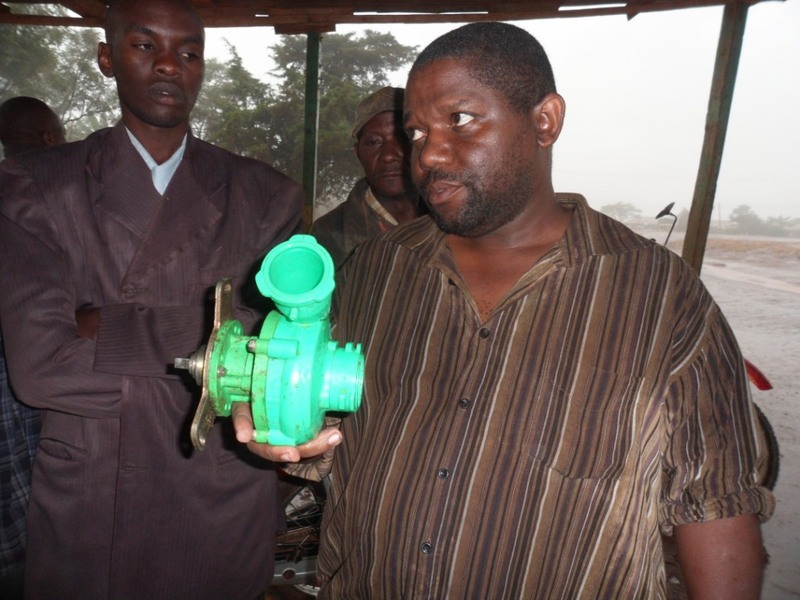 Ater the demonstration at Jinja Agricultural Show last July 2012, Mr. Mwangi has responded to an invitation by ADECO RADIO to have this technology demonstrated also in Tanzania. So a demonstration on the use of the pump has been made at Kayanga facilitated by FADECO (Joseph Sekiku) last Thursday and it was a crowd puller. 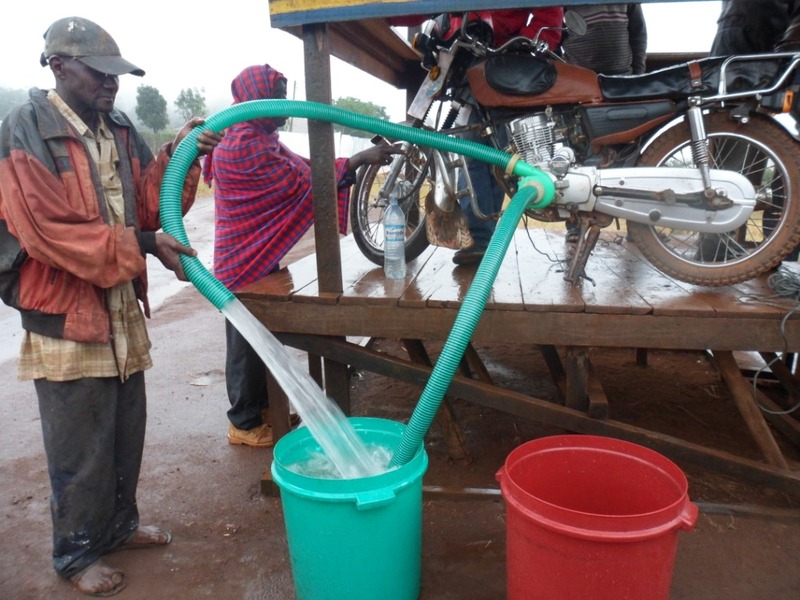 This technology has brought together many onlookers from near and far to see the seeming magic of using the motorcycle as an irrigation device.